Jo is a researcher and product designer at PDR. Her specific areas of interest are rapid interactive prototyping and user centric design, particularly the development of tools and techniques that can be applied in a commercial setting. She is currently in the final stages of a PhD on “The importance of physicality in the design of computer embedded devices”. Her PhD work relates to the AHRC/ESPSRC ‘Design for Physicality’ (DEPtH) project undertaken with Lancaster University for which Jo was previously an RA. The main objective of DEPtH was to investigate the impact of physicality on product design – how humans experience, manipulate, react and reason about ‘real’ physical things, and how this understanding can inform the future design of innovative products. 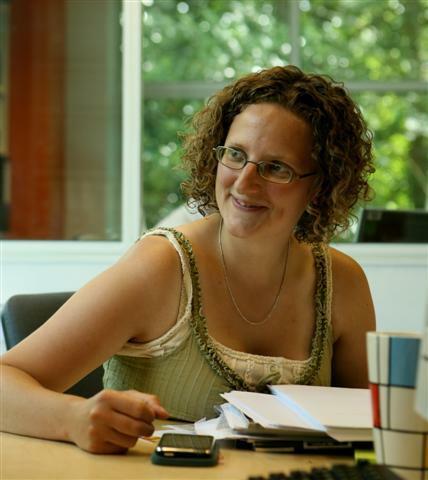 Jo studied Industrial Design and Engineering at De Montfort University in Leicester, graduating in 2004. During her degree course she spent a year working in Munich for BMW’s design and development department. After graduating, Jo worked as a product designer in Exmoor Plastics who design and develop devices for the medical industry. Hare, J., Gill, S., Loudon, G., Ramduny-Ellis, D. and Dix, A. (2009) Physical Fidelity: Exploring the Importance of Physicality on Physical-Digital Conceptual Prototyping. Proceedings of INTERACT 2009. Ramduny-Ellis, D., Hare, J., Dix, A., Evans, M., and Gill, S. (2009) Physicality in Design: an exploration. The Design Journal. Ramduny-Ellis, D., Dix, A., Hare, J. and Gill, S. (2009) Physicality 2009 – towards a less-GUI interface Third International Workshop on Physicality. Proceedings of BCS HCI 2009, 1st Sept 2009, Cambridge, UK. Ramduny-Ellis, D., Dix, A., Gill, S. and Hare, J. (2009) Physicality and Interaction (Editorial). Interacting with Computers. Volume 21, Issues 1-2, January 2009, pp. 64-65. Ramduny-Ellis, D., Dix, A., Gill, S., and Hare, J. (editors) (2009) Special Issue on Physicality and Interaction (editorial). Interacting with Computers. Volume 21, Issues 1-2, January 2009, pp. 64-124. (Science Direct). Dix, A., Ghazali, M., Gill, S., Hare, J., and Ramduny-Ellis, D. (2009) Physigrams: Modelling Devices for Natural Interaction, in Formal Aspects of Computing Journal, Springer doi: 10.1007/s00165-008-0099-y. Gill, S., Walker, D., Loudon, G., Dix, A., Woolley, A., Ramduny-Ellis, D. and Hare, J. (2008) Rapid Development of Tangible Interactive Appliances: Achieving the Fidelity/Time Balance. In Hornecker, E., Schmidt, A., and Ullmer, B. (eds) Special Issue on Tangible and Embedded Interaction, International Journal of Arts and Technology, Volume 1, No 3/4 pp 309-331. Ramduny-Ellis, D., Hare, J. Dix, A. and Gill, S. (2008) Exploring Physicality in the Design Process. In Undisciplined! Proceedings of the 2008 Design Research Society International Conference, (16-19 Jul. 2008), Sheffield, UK.